Niall Horan is busy writing new material. The 'Slow Hands' hitmaker took to Twitter recently to let his 39.3 million followers know he's hard at work making new songs for his follow-up to his debut solo album 'Flicker'. He wrote: "Exciting week ahead of writing ! (sic)"
The One Direction star recently admitted he feels like the "Benjamin Button' of pop as his career is going in reverse. The 25-year-old singer conquered the charts all over the world playing stadiums and arenas in all the major cities with the boyband – who are on an extended hiatus. He said: "It's Benjamin Button – going from arenas to smaller gigs. I've got to play these places we never got to play in the band, people will have this thing where it's like, you know ... we don't all have to be as big as Ed [Sheeran]. 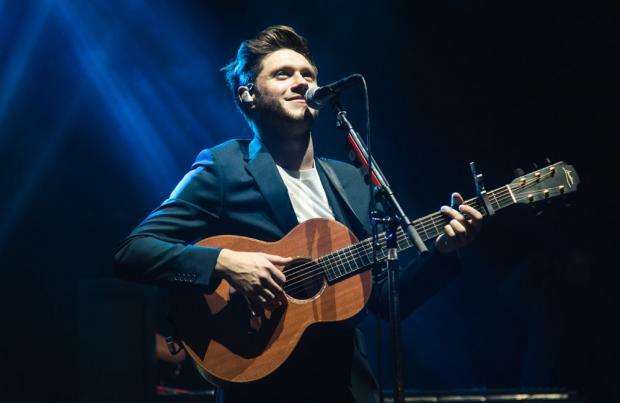 The 'On the Loose' singer confessed that he found it "different" while touring 'Flicker' but ultimately enjoyed the opportunity to make the event "more about the gig than a show".